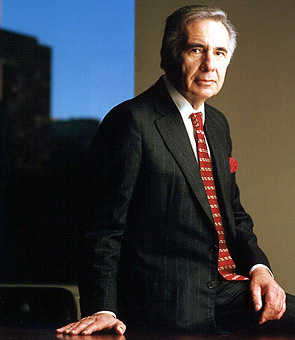 Time Magazine interviewed Icahn on the occasion of his 71st birthday in February 2007. It’s reported that Icahn has built a team of two dozen associates to help him find targets and mount his corporate crusades and will likely continue to pursue his investor activism. Icahn’s strategy involves targeting a company he thinks is poorly run and whose stock price is trading below value. He typically buys when the markets are on a downtrend. When everyone else is selling, he starts buying. He accumulates enough of an ownership position to lobby for a position on the company’s board of directors. Usually his first demand is to dump the CEO and, often times, to consider breaking up the company into separate parts and selling them off. Wall Street professionals say that most of the time he is successful because he is intimidating and relentless. He is viewed as such a surefire moneymaker that investment managers typically start buying up the company’s stock, which, whether Icahn is successful or not, leaves him with healthy stock price gains. Some investors closely watch Carl Icahn’s moves and follow what he does to the point that they also start buying in the same company as Carl does. However, having said that, becoming a successful investor takes education, patience and maybe even a little luck.